Apart Angela price per day from € 43 Quietly situated in Mayrhofen, Apart Angela offers panoramic views of the Ziller Valley. Each of the accommodation units has a private patio with garden furniture. A bakery is 1 km away, and an Alpine dairy is 300 metres from the Apart Angela. Apart Stella Alpina Apart Stella Alpina offers self-catering accommodation located in Ischgl, 600 metres from the Ski Lift Mathon and 3,800 metres from Silvrettabahn Cable Car. The apartment comes with a mountain views, a seating area with satellite TV, a fully equipped kitchen with a dishwasher and a private bathroom with a shower and a hairdryer. A supermarket is 250 metres away and a restaurant is 150 metres from the Stella Alpina..
Gästehaus Waldruh Located at the edge of the forest in the Ziller Valley, Gästehaus Waldruh is 2 km from the centre of Mayrhofen and Ahornbahn and Penkenbahn Cable Cars. 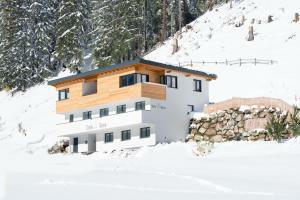 It offers a ski storage, terrace, and bicycle rental. Apart Tyrolis price per day from € 70 These quiet, Alpine-style apartments are located in the popular ski resort of Sölden in the beautiful Austrian Alps. All apartments include a well-equipped kitchen and free Wi-Fi. Guests will also find a bus stop right next to the building. 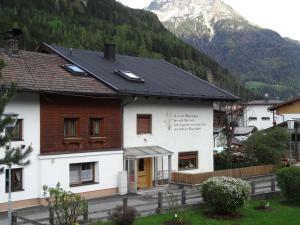 Apart Altamira Apart Altamira enjoys a quiet yet central location a 3-minute walk from the centre of Ischgl. The Ischgl-Samnaun Cable Car in the Silvretta Ski Area is 400 metres away and is accessible by ski through. You can find a ski storage room and ski boot drying facilities on site. Apart Central price per day from € 615 . 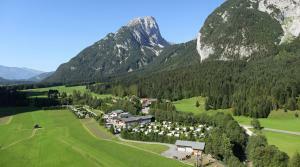 Ferienhof Leo price per day from € 50 Located 15 km from the Warth-Schröcken Ski Area, Ferienhof Leo in Steeg features a garden with barbecue facilities. At Ferienhof Leo, skiing, cycling and hiking can be enjoyed in the surrounding area..
Ferienhaus Pult Located in a quiet area, 2,500 metres from the thermal bath Längenfeld, Ferienhaus Pult offers a ski storage room, a terrace with barbecue facilities and mountain views. Hotel Thaneller price per day from € 68 Surrounded by the Lechtal Alps, Hotel Thaneller is located in the small village of Rinnen near Berwang. 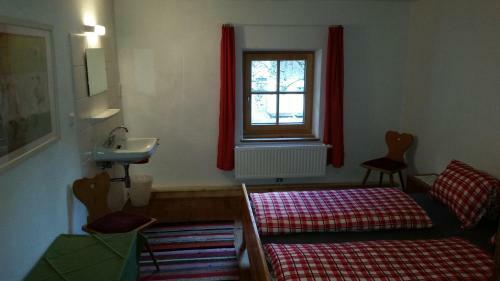 It has an indoor pool and offers Tyrolean-style rooms with balcony. Spa facilities include 2 saunas, a steam bath, a diving pool, tropical showers, and a sun terrace. Hotel Tirolerhof Located at the heart of the Leutasch Valley, Hotel Tirolerhof is just a 5-minute walk from Weidach’s centre. Free snowshoeing tours are provided during the winter, and a number of hiking and cross-country ski trails run next to the Tirolerhof. Achenkirch: excellent nightlife, many restaurants and pubs. Auffach: excellent nightlife, many restaurants and pubs. Aurach: recommended ski resort for experts. Boden - Bschlabs: recommended ski resort for beginners. Brandenberg: excellent nightlife, many restaurants and pubs. Ehrwald: recommended ski resort for beginners. Fiss: very good nightlife, many restaurants and pubs. Fügen: recommended ski resort for beginners. Kals am Großglockner: recommended ski resort for experts. Kühtai-Sellraintal: recommended ski resort for beginners. Maurach am Achensee: excellent nightlife, many restaurants and pubs. Mayrhofen: recommended ski resort for experts. Mösern: recommended ski resort for beginners. Obergurgl-Hochgurgl: very good nightlife, many restaurants and pubs. Scheffau am Wilden Kaiser: excellent nightlife, many restaurants and pubs. Seefeld: recommended ski resort for beginners. Ski Jewel Alpbachtal Wildschönau: excellent nightlife, many restaurants and pubs. SkiWelt: recommended ski resort for experts. St. Anton am Arlberg: recommended ski resort for experts. Trins: recommended ski resort for beginners. Waidring: recommended ski resort for beginners. Wettersteinbahn: excellent nightlife, many restaurants and pubs. Zell am Ziller: very good nightlife, many restaurants and pubs. Zillertal Arena: recommended ski resort for experts. Zugspitz Arena: recommended ski resort for beginners. Brixen Im Thale. 81+ accommodation units ! Hippach. 108+ apartments, 20+ villas ! Kaltenbach. 118+ accommodation units ! Neustift Im Stubaital. 153+ accommodation units ! Sankt Anton Am Arlberg. 115+ villas/holiday houses ! Seefeld In Tirol. 176+ apartments ! Zell Am Ziller. 96+ apartments, 13+ villas !